Pharmacy Error & Malpractice Lawsuits & Information | Kennedy Hodges L.L.P. Have you or a loved one suffered because of Pharmacy Malpractice? Learn how to take action. If you have suffered an injury because a pharmacy dispensed the wrong medication or made an error with your prescription, you can file a claim for negligence or malpractice. The area of the law prescription error claims fall under is personal injury law. Every state has its own laws that apply to filing personal injury lawsuits and the information below is a general guideline. Disclaimer: Every case is unique and the following is general information related to these cases. You should contact a board-certified pharmacy attorney to determine the facts of your case. You can contact our office toll-free at 888-526-7616 for a free case review. The best option if you have been a victim of medication error is to contact an experienced pharmacy error attorney that can fully investigate your claim to find out if there was a source of pharmacy negligence. You can also order our free book, "How to Make Pharmacies Pay for Your Injuries Caused by Medication Errors." If you or a loved one suffered an injury because of a prescription error or medication error caused by a pharmacy, the first thing you should do is to save any bottles, medications, labels, prescription packaging, and receipts related to the medicine. You should then contact a Kennedy Hodges attorney to start investigations into your case immediately. The pharmacy may try to have you give a recorded statement about your case, but you should not agree to this. Any statements you make could potentially destroy your case. Your experienced prescription error attorney will send a letter of representation to the pharmacy and open up a claim. After you have completed any treatment related to the pharmacy's error the attorney will order your medical bills and records and obtain evidence regarding any claim for lost wages. He will put together a settlement package and start negotiating your claim. If you suffer an injury because of someone else's negligence or malpractice you have the right to file a personal injury lawsuit. The amount of time you have to bring a claim for personal injury is called a Statute of Limitations. Basically, from the day the injury occurred you have a window of time in which to file a lawsuit. In Texas, the Statute of Limitations that applies to personal injury lawsuits is two years from the date of injury to file a claim. Except for some specific cases, you cannot file a personal injury lawsuit after that time period passes. In other states, the Statute of Limitations for a pharmacy error claim is only a year (or even shorter, depending on the facts of the case). 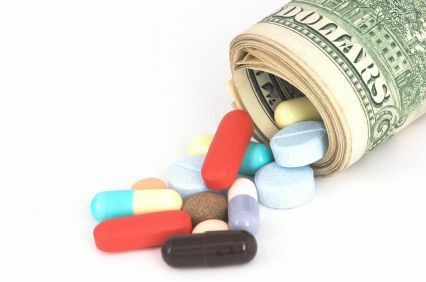 How much does it cost to hire a pharmacy error attorney? It will not cost you any money out of pocket to hire Kennedy Hodges. Our firm does not charge any fees for investigating claims and the initial consultation is also free. Our firm works on a contingency fee basis, which means if we do not obtain a recovery, you do not owe us anything. You can call our office 24/7 at 888-526-7616 to start your free case review today. How long do prescription error lawsuits last? The type of error that occurred, or if multiple errors occurred. When you hire us to represent you, the pharmacy will understand that they cannot brush you off or try to deny your claim any longer. Proving pharmacist negligence in a pharmacy error lawsuit. There are many ways in which you could be harmed by a prescription pharmacy error. An overworked pharmacist may incorrectly dispense the wrong medication, or a technician may mistakenly enter milligrams instead of micrograms into the computer. These are just a couple of examples. In most cases, a pharmacy error is negligence per se; that is, negligence as a matter of law. If we can demonstrate the error, through pharmacy records, medicine bottles or even testimony, we have proven the negligence. The only issues we must address at that point are whether the medication error caused the injury and the extent of injury. Represented a two-year-old child that experienced a near-fatal seizure after being given the wrong medication from a pharmacist. Represented a patient against a national pharmacy when the patient ingested a near fatal dose of a powerful central nervous system stimulant. The pharmacist had mislabeled this medication as Vicodin. Successfully represented a patient that was instructed to take a near fatal dose of Ambien. The dosage that the pharmacist instructed was contrary to the written orders of the patient's doctor. Successfully represented a patient against a national pharmacy when the pharmacist gave the patient a powerful HIV medication instead of medication to treat the patient's minor case of acid reflux. If you or a loved one have been a victim of pharmacy malpractice, contact our board certified attorneys today to start your free case review. You can also order a FREE copy of our book, "How to Make Pharmacies Pay for your Injuries Caused by Medication Errors," to learn more about taking action because of a prescription error. Order your free book today by filling out our confidential contact form, or by calling 888-526-7616.